Advanced, Slim, Precise. 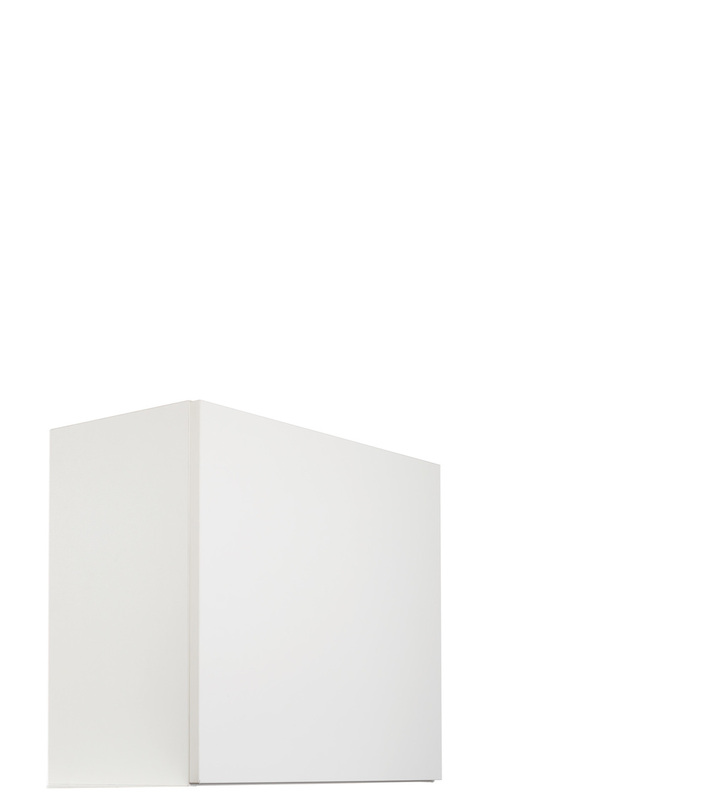 The most advanced lifter family on the market meets all the criteria for looks and functionality. Aesthetics is an emotional criterion that even technical products must achieve today. They have to perform perfectly and look beautiful too. The slim and elegant looks of the different members of the FREElift family underline the obvious advantages of Kesseböhmer's high-precision technology. Specialists in the contemporary look. 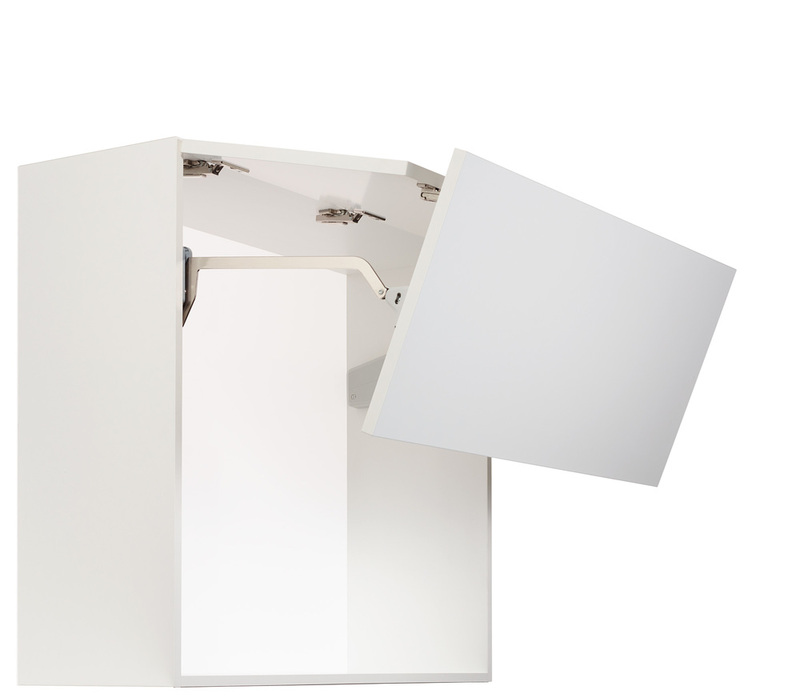 The FREElift lifter family delivers silky smooth opening and closing action for wall cabinets with a wide range of flap sizes and weights. The easy and harmonious movements are quiet, soft and effortless-these outstanding characteristics represent striking benefits to the user. 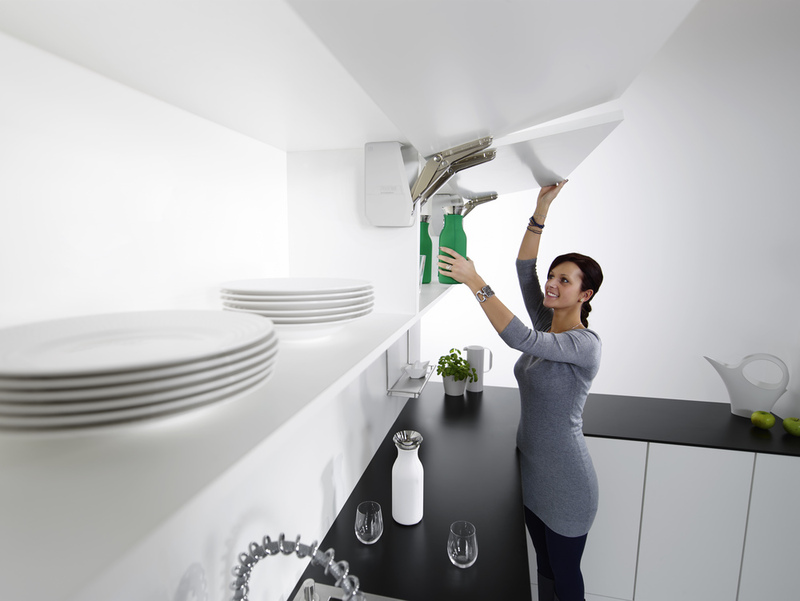 The intelligent FREEfold lifter folds up the front panel as it lifts for a space-saving solution. 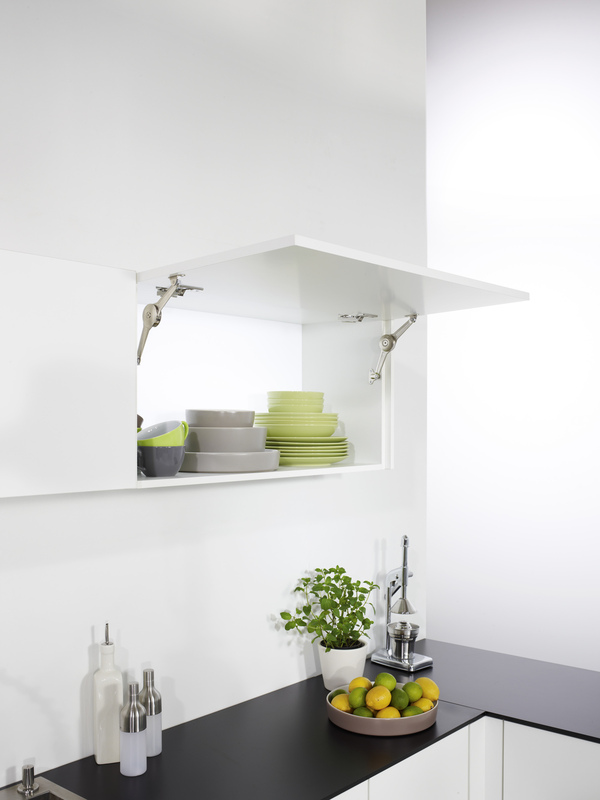 The fitting offers an intelligent basis on which to plan wall cabinet solutions for low ceilings, wall cabinets that vary in height, and large, heavy doors. 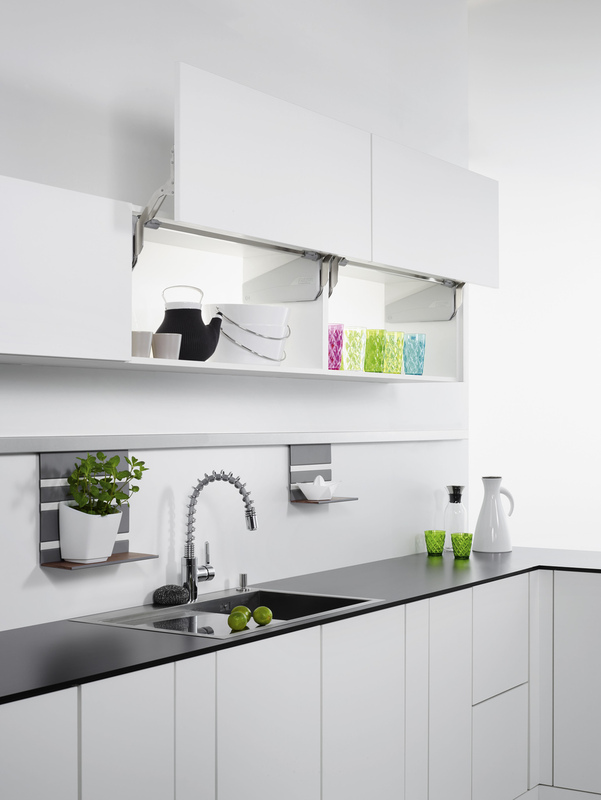 This fitting offers the kitchen designer multiple options for the planning process. Efficient movement sequences for today's kitchens. 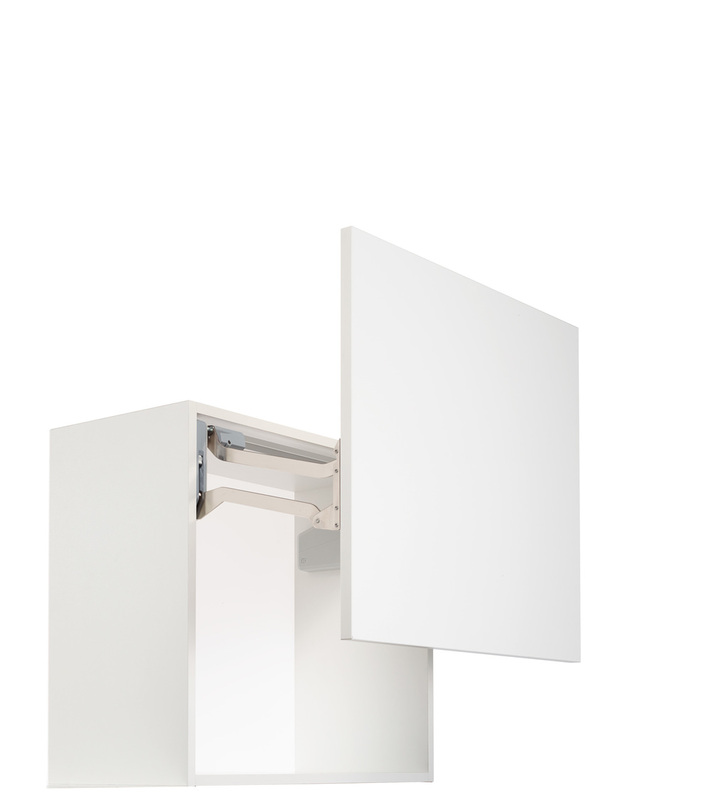 The integrated multi-position STOPP guarantees that the door will stop immediately and securely in any position. 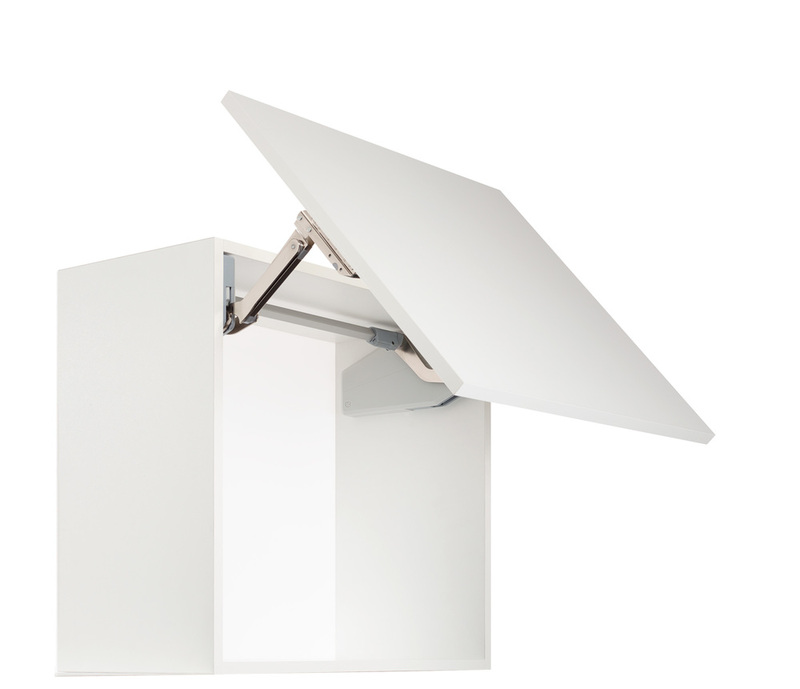 Safety hinges on the fold prevent any risk of finger pinching. FREEfold is ideal for glass doors where it generates fascinating impressions of transparency and lighting. Form follows function-and beautifully. 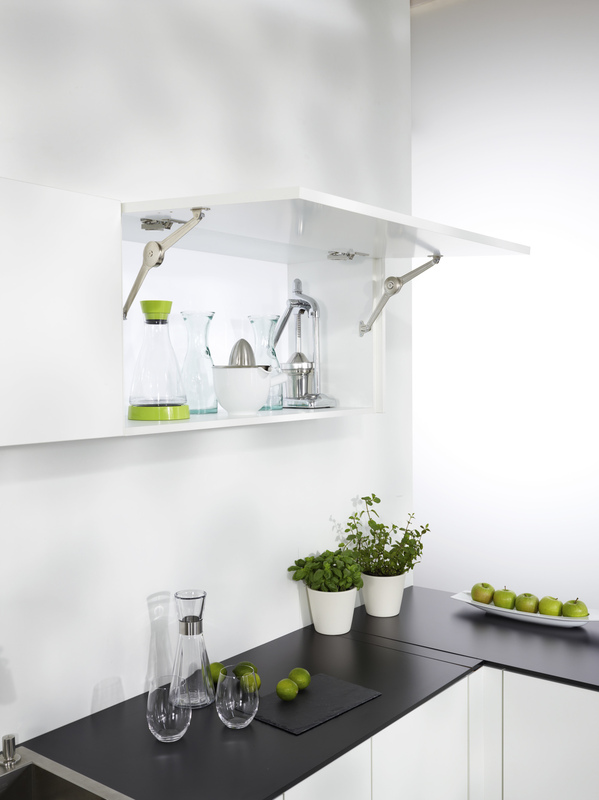 FREEslide lifts the door vertically, opening up totallly new design potential for kitchen designs. 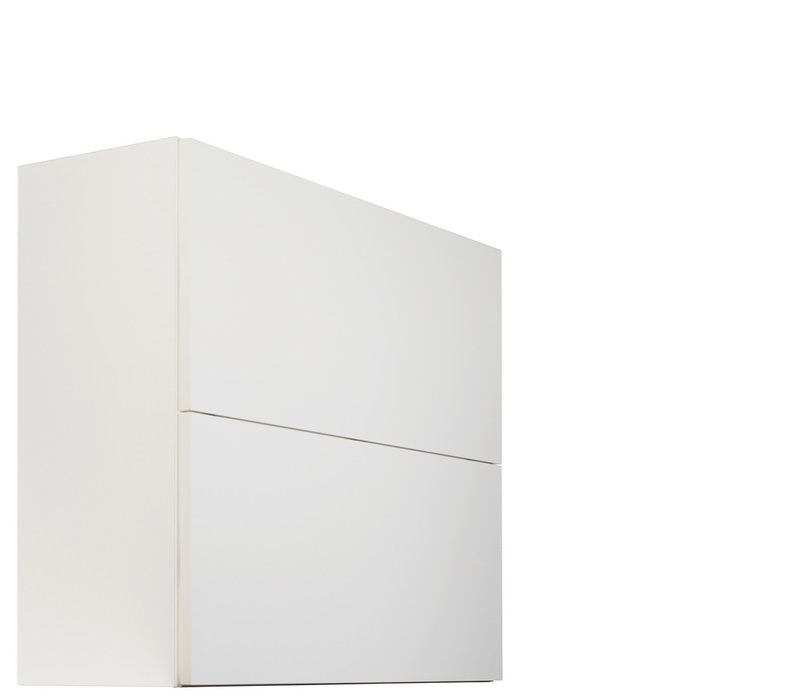 FREEslide is the perfect choice when cabinets are stacked on top of each other or for wall cabinets with top lighting or cornices. 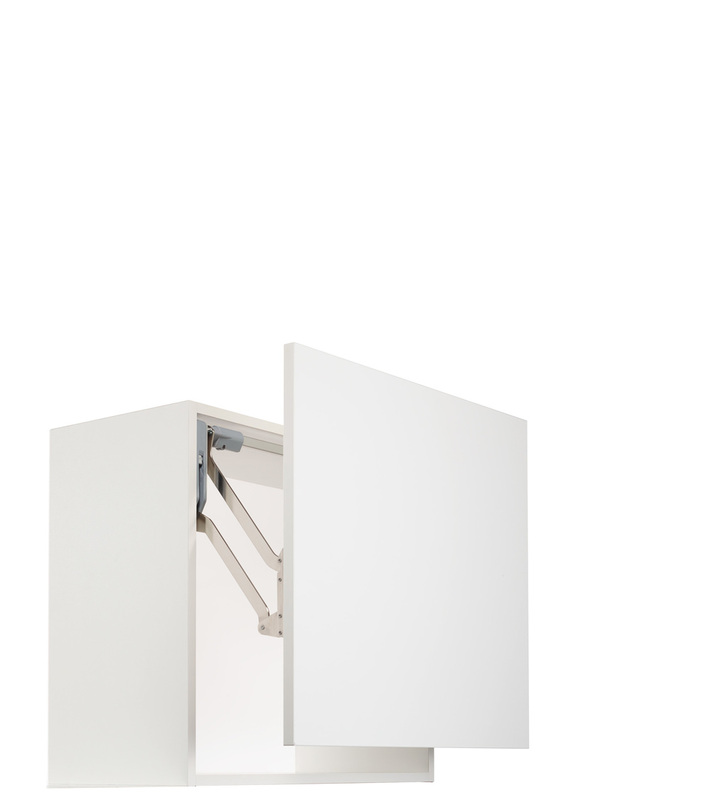 The integrated multi-position STOPP guarantees that the door will stop immediately and securely in any position. This means there's a lot of user convenience tucked away behind a visually smooth run of doors, not only in the kitchen, but anywhere in the house. The right choice for comfortable and practical 21st century living, FREEswing lifts medium and large doors elegantly and effortlessly. 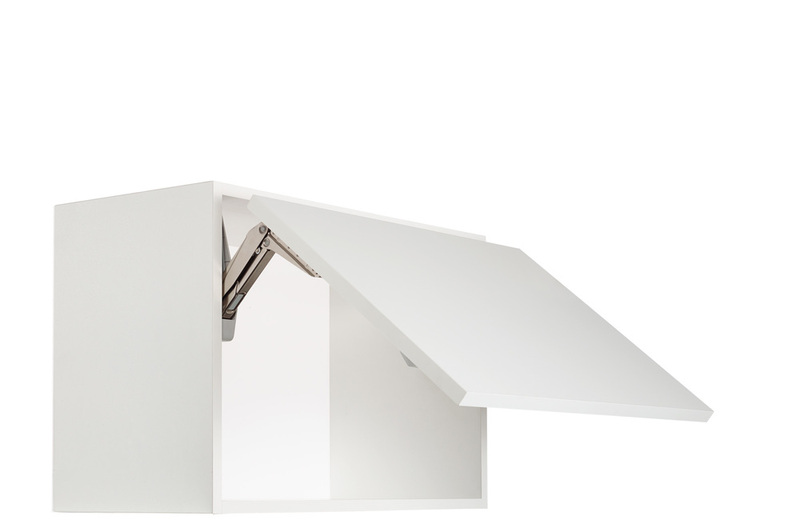 Whatever the size of the door, FREEswing has been engineered to maximize the space available for storage and to give free access to all the contents. FREEswing lifters naturally also feature multi-position STOPP. 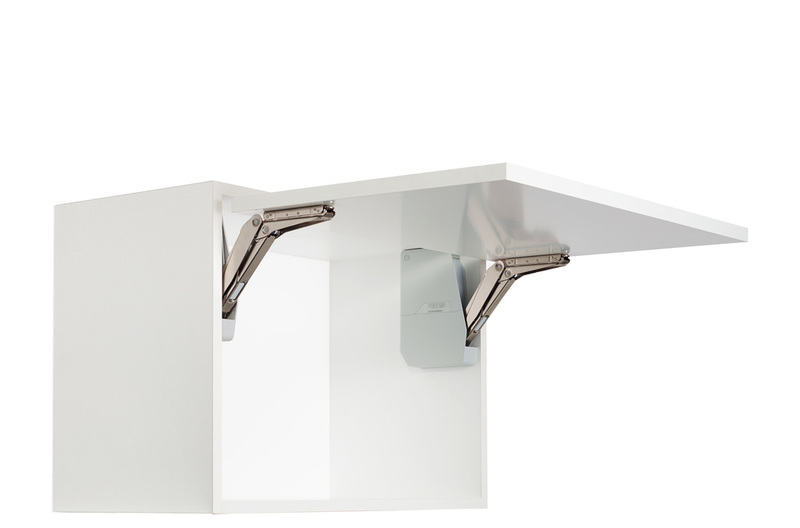 With their compact design and strong performance, FREEswing lifters are perfect for a range of applications in ktichens, bathroom and living spaces. Free Flap-mini lifters, maximum benefits! Practical, balanced and compact. 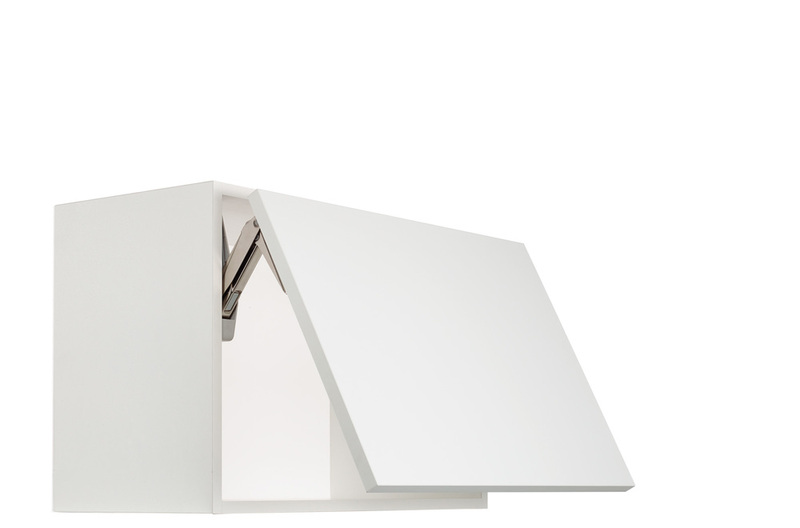 The FREEflap mini/forte is compact and robust. 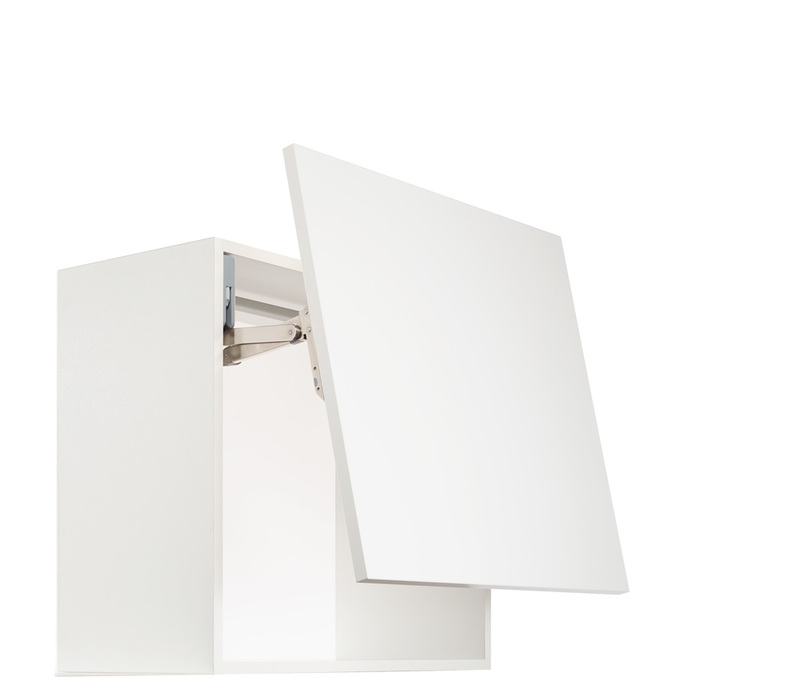 With and installation depth of only 4 5/8", the FREEflap mini/forte can lift doors weighing up to 59 lbs. 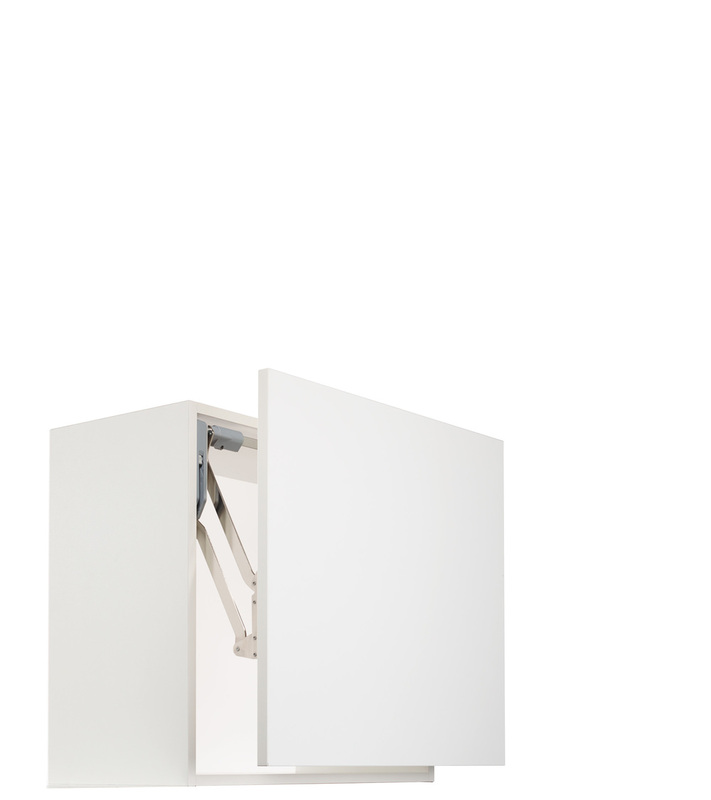 The integrated multi-position STOPP guarantees that the door will stop immediately and securely in any position. And we're delighted with the German Design award in 2014! 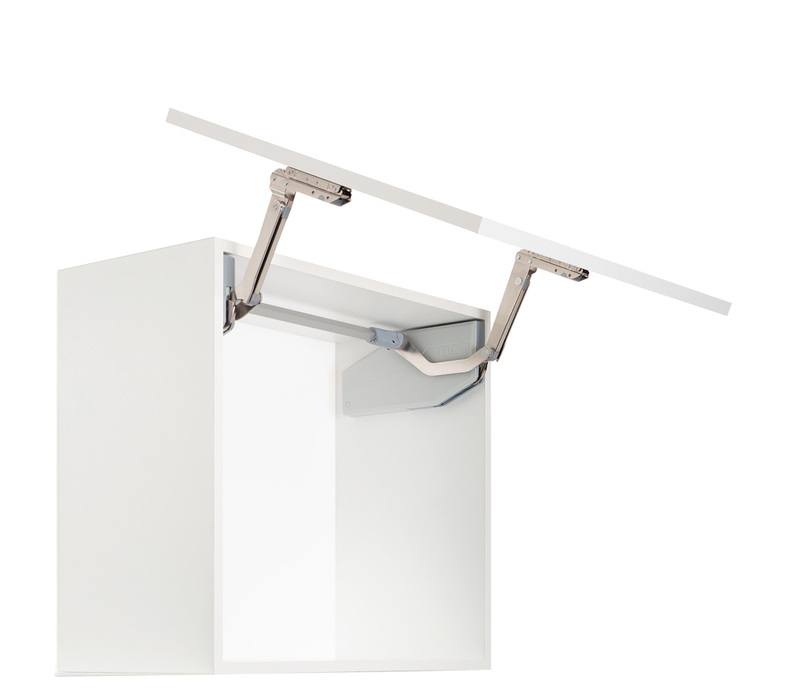 Duo is a flap support with an opening angle up to 110°. The holding force can be set to stop the door in any position or come to a close in a soft and quiet fashion. 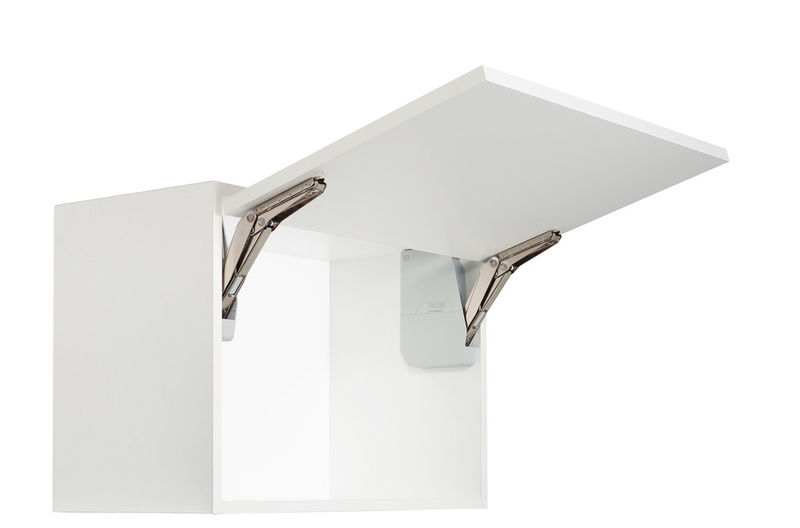 Alternatively, the door and fitting can be mounted to open downwards, the door can then also function as a temporary work surface or bar counter-all with the same fitting. The fact that Duo is non-handed simplifies logistics and assembly. ClickFixx is standard for quick and easy assembly and user-friendliness. 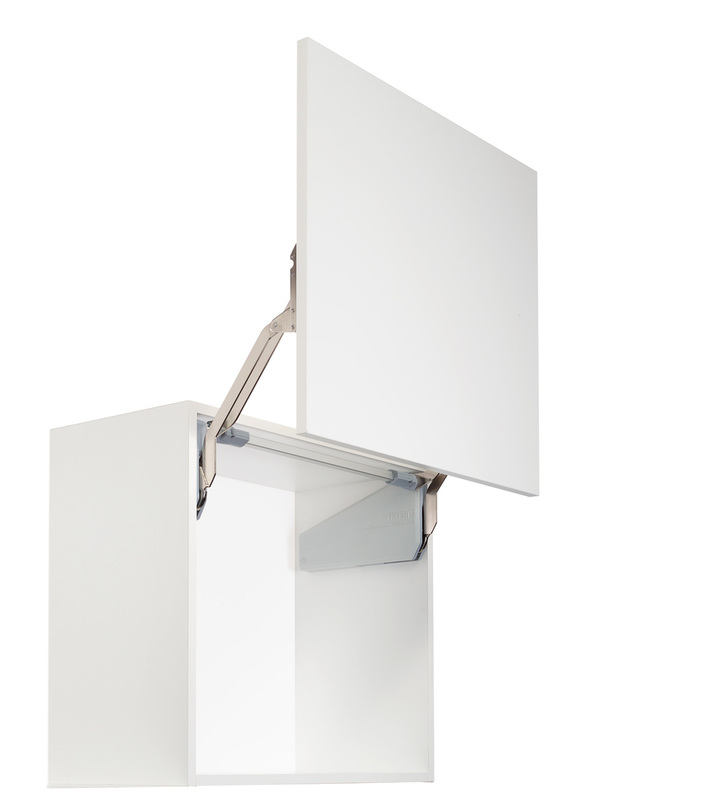 Duo MAXI is a flap support meant for heavy doors with an opening angle up to 110°. The holding force can be set to stop the door in any position or come to a close in a soft and quiet fashion. The fact that Duo MAXI is non-handed simplifies logistics and assembly. ClickFixx is standard for quick and easy assembly and user-friendliness.